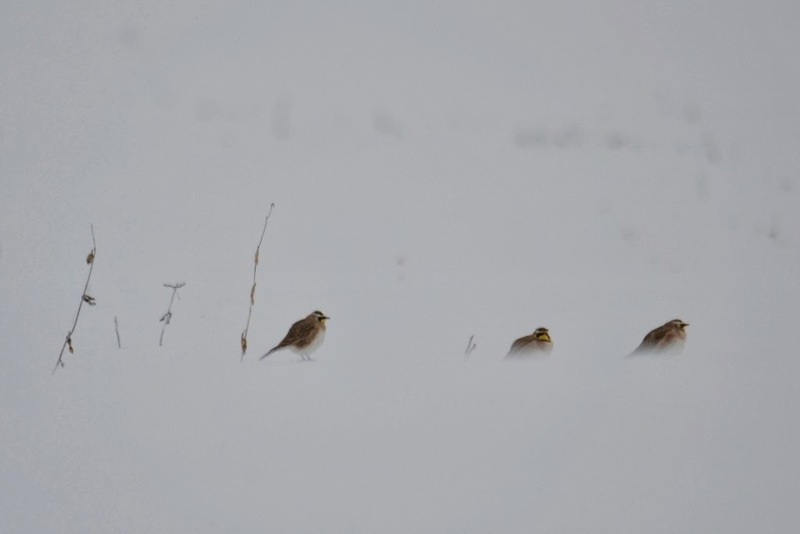 I spotted some Horned Larks facing the cold the other day. 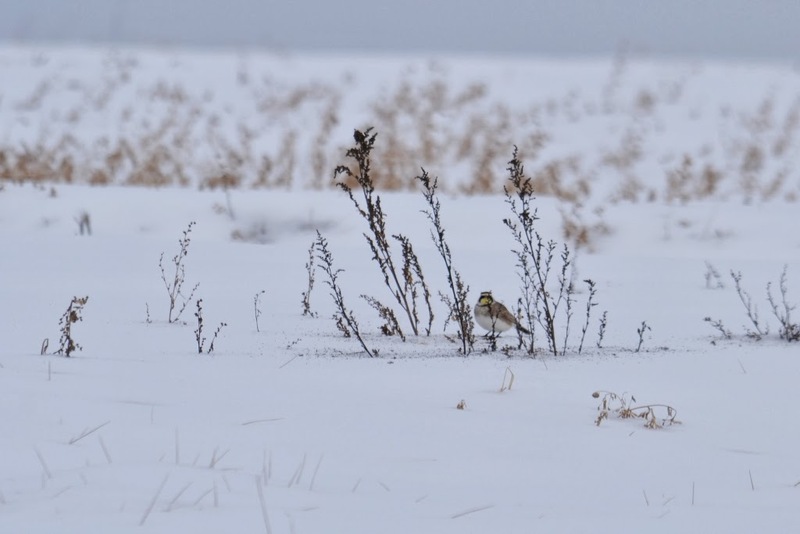 What do these birds eat during the winter? The larks I saw were happily eating weed seeds at the edges of fields and along the roadsides. 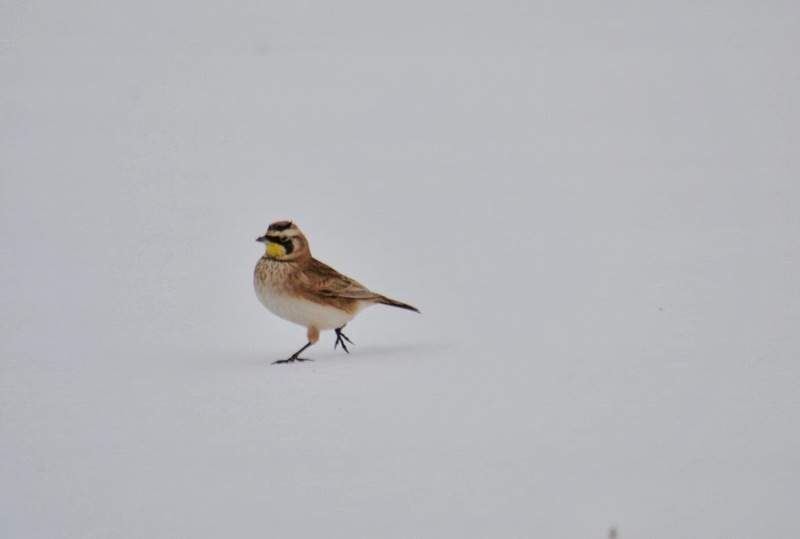 In the photo below, the Horned Lark was feeding on seeds that it had just shaken loose from the tall weed above its head. I missed the shot of the lark jumping up to grab hold of the weed stem with its beak and tugging on it to shake out some seeds. 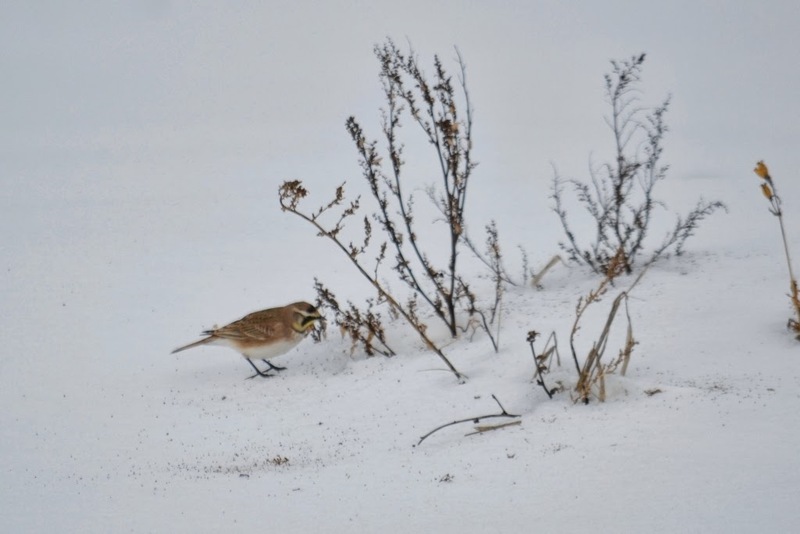 The bird's quick tug scattered the seeds on the snow where it was busily feeding when I finally was able to snap a photo. 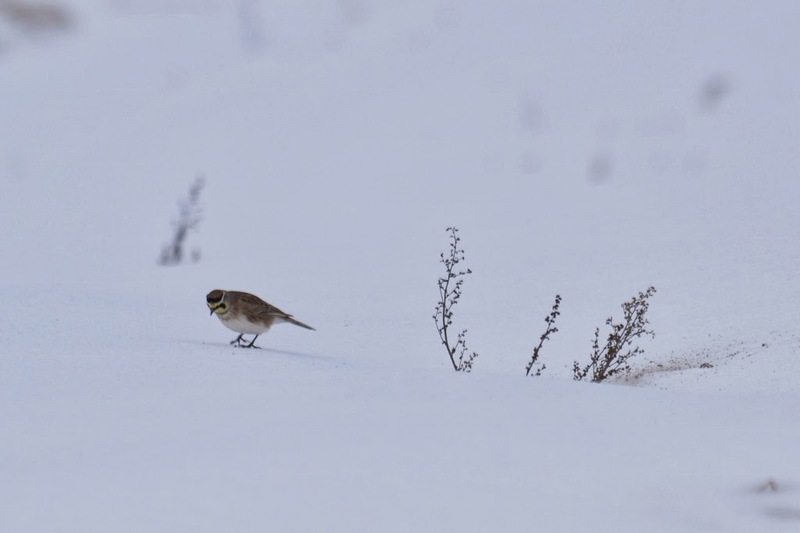 In this next photo, a Horned Lark has left a scatter of seeds in the far right of the photo. What kind of amounts of snow are you all expecting this round? I reckon weed seeds are one way 'God feeds the birds'. We are far enough west of the coast that we get very little snow from storms that move up the coast. On the other hand, its colder here so the snow that we get stays around longer. There is presently 8 1/2 inches of snow on our picnic table from previous snows.